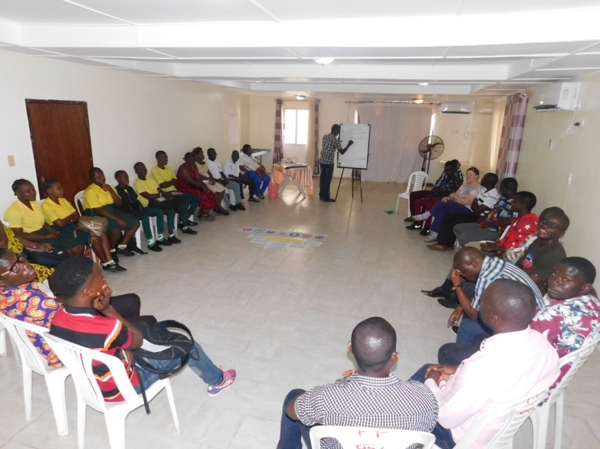 MONROVIA – The Alternatives to Violence Project (AVP) has begun a three-day interactive workshop to strengthen volunteers and students in peace building network in the country. AVP, which works in the community and in prisons, is a network of volunteers running workshops for anyone who wants to find ways of resolving conflict without resorting to violence. The workshop brought together student representatives from the St. Peter Lutheran High School, various departments from the Lutheran Church in Liberia (LCL) and media representatives. 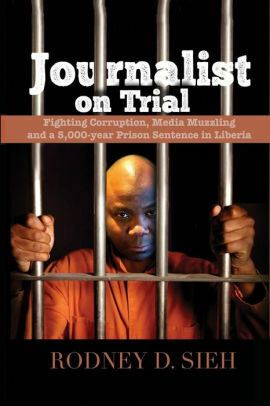 Making the assertion in Monrovia during an interview with reporters on Wednesday, March 20, 2019, a visiting AVP volunteer based in the United States of America has indicated that since 2011 the project has trained 16 Liberians that are now lead facilitators that are building a network of volunteers in the country. According to her, even though there are plans to extend to other counties, these facilitators have also provided training opportunities for others in Montserrado, Margibi and Bong counties. Virginia P. Bainbridge noted that the AVP is a training programme that enables participants deal with potentially violent situations in new and creative ways. “Workshops are non-residential, and experiential (not based on lectures), run by our trained facilitators. Our workshops use the shared experience of participants, interactive exercises, games and role-plays to examine the ways in which we respond to situations where injustice, prejudice, frustration and anger can lead to aggressive behaviour and violence,” the AVP volunteer maintained. She also narrated that the project seeks to gather and provide resources and services for the international AVP community to reach and sustain its full potential for peace and nonviolence worldwide. Earlier in an opening statement, AVP-Liberia Student Coordinator Philip F. Quoqui said since people need to live with dignity and respect, the project has decided to build a peace building community within the Lutheran Church for now and later transmit same to the larger society. Quoqui, who also serves as a volunteer in Liberia, added that the AVP workshops are built on everyday experiences and it tries to help participants move away from violent or abusive behaviour by developing other ways of dealing with conflicts. Commenting earlier on the thinking behind the project, another facilitator, Moses B. Cole, III narrated that AVP understands that conflict is a natural and normal part of life, and it is possible to learn new ways of handling it. “By holding workshops in which the participants consider the underlying causes of friction and violence, practical ways of dealing with situations of conflict are worked out,” Cole iterated. Mr. Cole added that the project aspires for a nonviolent society where everyone lives in peace and dignity. He said an AVP workshop helps participants to manage strong feelings such as anger and fear, deal more effectively with risk and danger. Cole also maintained that workshop also helps participants build good relationships with other people; communicate well in difficult situations, and recognise the skills that one already has and learn new ones, and to be true to oneself while respecting other people understand why conflict happens. The Alternatives to Violence Project (AVP) is a volunteer-run conflict transformation program. Teams of trained AVP facilitators conduct experiential workshops to develop participants’ abilities to resolve conflicts without resorting to manipulation, coercion, or violence. Typically, each workshop lasts 18–20 hours over a two or three-day period. The workshop events place a strong emphasis on the experiences of the participants, building confidence that everyone contributes something of value to violence prevention. AVP groups and facilitators are active in communities and prisons across the United States and in many other countries. The AVP indicated that while particular workshops can be modified to meet the needs of a specific group, the fundamental objectives are to encourage individuals to take responsibility for themselves and the consequences of their behavior, to serve as one another’s community, and to find options other than fight or flight when faced with conflict.